Is Fido's crappy nylon harness causing your dog park game to falter? Upgrade to the Chico & Dog Vest ($80). Made form imported South American leather and finished with high-strength, powder-coated hardware, the Doggy Vest conforms to your pet's shape, keeping him comfortable while enhancing his look for the ladies. Bonus for the Uncrate Orange color way. Let's be honest: your fish probably doesn't care what his surroundings look like, just so long as his water is clean and he's well fed. But you have to look at his bowl/tank every day, so you might as well make it stylish. 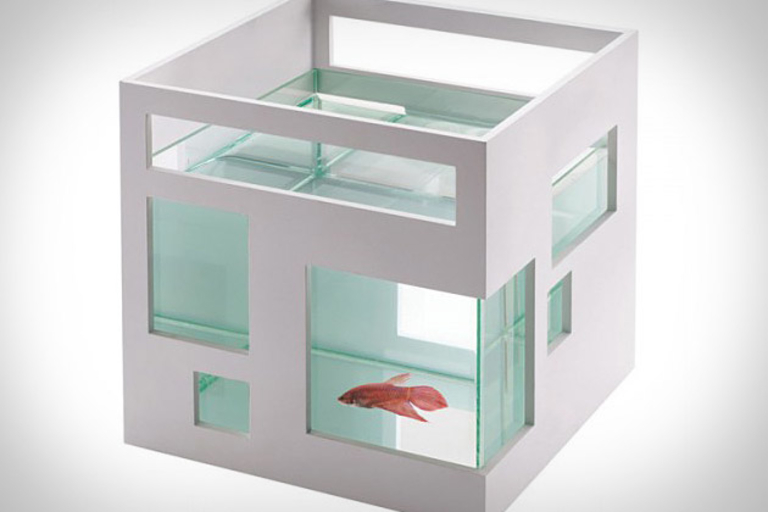 The Umbra Fish Hotel ($35) certainly qualifies, featuring the clean, boxy lines of a modern home, a glass bowl, an ABS pastic facade, and a stackable design that lets you build an entire condo full of fishy friends. When your lovable turd factory needs to go out, sometimes it's a dire situation in which every second counts. And if your leash never seems to be where you left it, the Super Collar ($50) will be your new best friend. 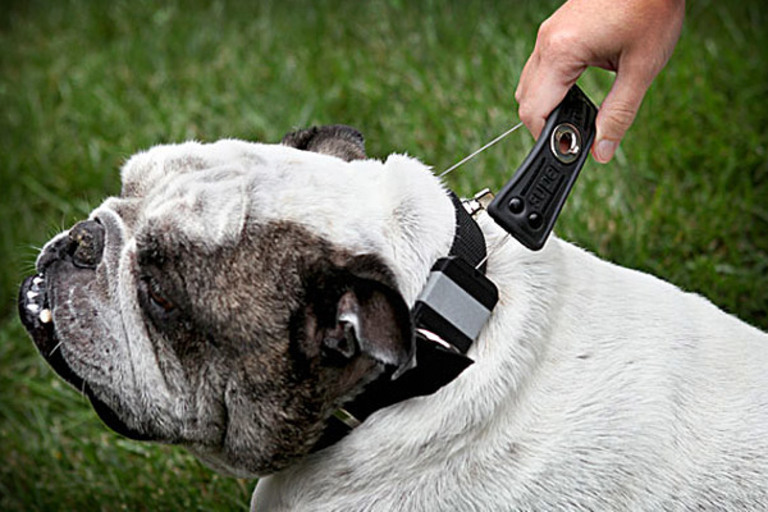 This collar-and-leash hybrid has a retractable 36-inch leash built right in that's made up of two coated steel cables with over 100lbs of break strength each. It's got waterproof polypro webbing and 3M Scotchlite reflective accents for those nighttime sessions. 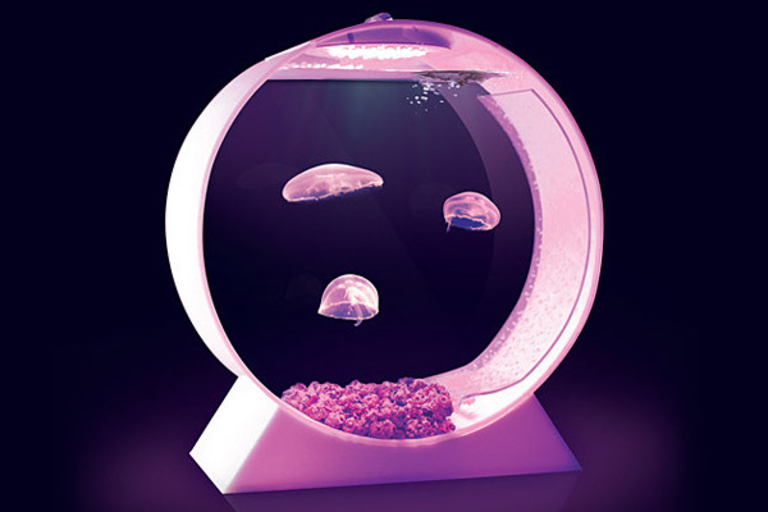 Give your aquatic friend a living space upgrade with the Fishscape Fish Bowl ($140). Designed to hold 2.5 gallons of water, this handmade glass bowl features a unique bottom texture that appears as a mountainous landscape from the side. Sure, your fish might not notice the difference, but you will — and isn't that the point anyway? Is Rover's aging pad dragging down your carefully planned decor? 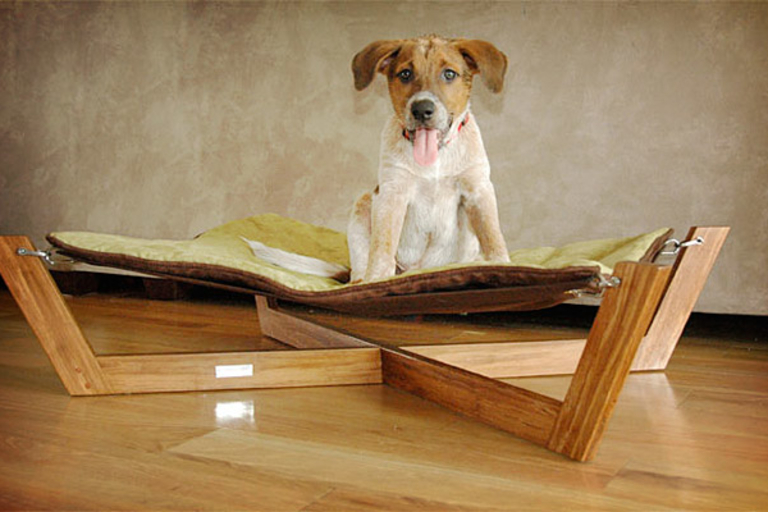 Replace it with the Bambu Pet Hammock ($125). Made from sustainable exotic strand bamboo, it features a clean, modern, X-shaped design, along with a washable, reversible ultra-suede cushion that's secured to the base with stainless steel anchors and carabiners, giving it a sling-like feel that's great for your buddy's joints. If you've also got a food and water bowl setup that could use some sprucing up, spring for the matching diner ($65), made from the same material and featuring two high-grade stainless steel bowls.